We call these our Badminton Pearl studs because they are a best seller at our country shows! Cultured Freshwater Pearls Studs – Our very popular Badminton pearl studs have had a re-design to make them even more lovely. 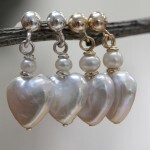 These pearl studs stick beautifully snug on your earlobe, making them a wondefully comfortable fit. 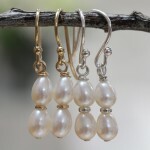 We have chosen cultured freshwater pearls with gorgeous ruch cream hues and a truly attractive lustre. 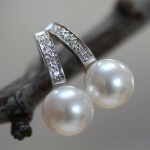 These 8mm button pearls now sit in our redesigned square claw diamante setting. 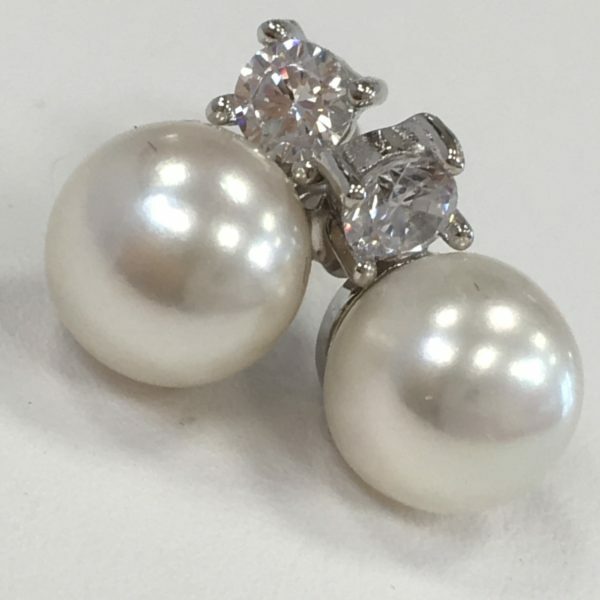 These pearl studs are set with sparkling Diamante to the top and with a button pearl. Our very popular Badminton pearl diamante studs have had a re-design to make them even more lovely. 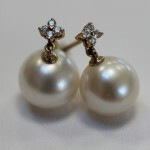 These pearl studs stick beautifully snug on your earlobe, making them a wondefully comfortable fit. We have chosen cultured freshwater pearls with gorgeous ruch cream hues and a truly attractive lustre. 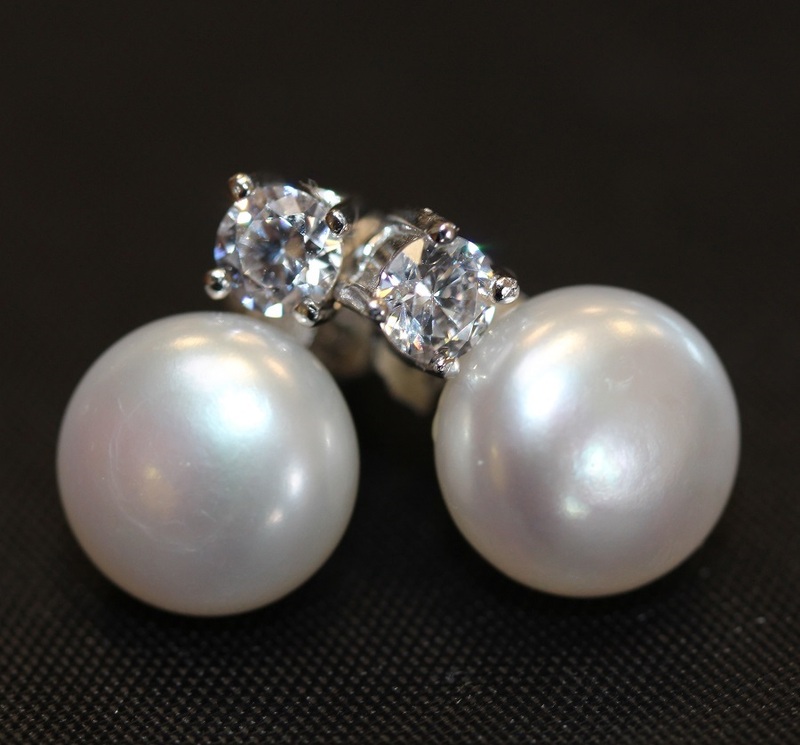 These 8mm button pearls now sit in our redesigned square claw diamante setting. We call them Badminton studs because when we first took them to Badminton Horse Trials, they flew off the stand. In truth, these studs sell very well at all our events and off the website because they are punch well above their weight in terms of sparkle and impact, for such a well priced pearl earring. They are often mistaken for much more valuable earrings, making them very attarctive when you want to wear something lovely but don’t want to risk losing valuable items of jewellery.